Assessing gene transcription as an endpoint for determining induction of drug metabolizing enzymes and transporters has become the “method of choice” in the FDA’s latest draft Guidance for Industry drug interaction studies. Increased gene transcription due to NCE exposure can be determined by two distinct methods, nuclear receptor activation and changes in mRNA levels in primary hepatocyte cultures. Human hepatocytes are generally considered the “preferred system” for predicting clinical inducers. Alternatives for assessing CYP3A4 induction by potential drugs, are cell-based transactivation assays, which employ HepG2 cells transfected either transiently or stably with a pregnane X receptor (PXR) expression vector, plus a luciferase reporter gene containing CYP3A4 response elements (proximal promoter and distal xenobiotic-responsive enhancer module). DPX2 cells (developed by Puracyp), which are stable hPXR transfectants, show CYP3A enzyme induction (measured as increased luciferase activity) by therapeutics which is comparable to that reported with human hepatocytes (Krueger et al., 2002; Trubetskoy et al., 2005; Raucy and Lasker, 2010). Despite lacking certain phenotypic properties inherent to human hepatocytes, such as constitutive expression of P450 and nuclear receptor proteins, DPX2 cells nevertheless respond to typical CYP3A inducers [e.g., rifampicin (RIF)] with a marked increase in CYP3A metabolic activity (Trubetskoy et al., 2005), eliminate screening dependence on an uninterrupted supply of human hepatocytes, and exhibit much lower interexperimental variability. The use of hepatocytes in high-throughput screening and structure-activity relationship (SAR) studies during early discovery is limited, whereas DPX2 cells can readily surmount such issues (Shukla et al., 2011). Receptor activation screening services using proprietary cell lines by Puracyp enable researchers to identify NCEs that have the potential to activate human, rat, mouse, dog or monkey SXR/PXR, AhR and CAR. These services are offered in Europe through tebu-bio, at their own labs based near Paris. A typical dose-response curve for rifampicin generated in human PXR, DPX2, cells. Results are expressed as fold induction above the negative control (DMSO) and were calculated by determining luminescence and normalizing to the viable cell number. Commitment is to provide high quality results in a rapid throughput manner, study turnaround time is 7 business days from receipt of compounds. The test system is high-throughput consisting of a stably transformed tumor cell line (DPX2) plated on 96-well microtiter plates. The enhancers (PXRE) and promoters linked to a reporter (luciferase) are stably integrated into the tumor cells. Activation is assessed by monitoring reporter gene activity and by comparing results to analogous cells treated with solvent. Positive controls will consist of cells treated with 6 concentrations of rifampicin. In this manner, compounds activating PXR can be easily and expediently identified. Because these are stably integrated cell lines, three to 30 fold PXR activation may be observed. To aid in interpreting the results produced in Puracyp’s cell lines, controls producing various levels of receptor activation (fold induction) are included with your compounds. Controls included in the assay represent potent levels of receptor activation. Results from screening of your compounds are expressed as fold induction and as a % of each control. In this manner, compounds that exhibit >75% of a control at 10 μM can be considered as a similar activator. An example of two unknowns, UK1 and UK2, are shown below in the table. RIF = rifampicin; UK = unknown a Activation (induction) potency is defined as negative, weak, moderate and strong. Negative, weak, moderate and strong activators are compounds giving <15%, <40%, <69% and >70%, respectively, of the response obtained with 10 μM RIF * at equimolar concentrations. UK1 is considered to be a moderate PXR activator based on the response produced in DPX2 cells and expressed as % of 10 μM rifampicin. Compounds that are weak or moderate and potent inducers in Puracyp’s cell lines may or may not produce drug-drug interaction in vivo (1). Conversely, compounds classified as potent nuclear receptor activators, i. e. >75% of the potent positive control at equimolar concentrations, will most likely produce drug-­‐drug interactions (1). When using in vitro data to predict in vivo, caution needs to be exercised. In particular, plasma concentrations and dose administered must be considered in the interpretation of results. Studies are designed to evaluate the effect of one or multiple new chemical entities (NCEs) on the activation of the human PXR nuclear receptor. Cell lines stably transfected with the hPXR and the CYP3A4 response elements will be seeded in a 96-well plate. Twenty-four hours after seeding the cells will be treated with various concentrations (at least six) of compounds in triplicate wells and cells returned to the incubator for an additional 24 h. At the end of this incubation period, the number of viable cells per well will be determined using Promega’s Cell Titer Fluor Cytotoxicity Assay. Following this assay, ONE-Glo will be added to the same wells and reporter gene activity assessed. tebu-bio has been a Puracyp service provider for more than 10 years now. If you’re interested in benefiting from their expertise in fee-for-services based on Puracyp’s technology, make a note of their easy address to start designing your project: adme@tebu-bio.com. What about doing it yourself? 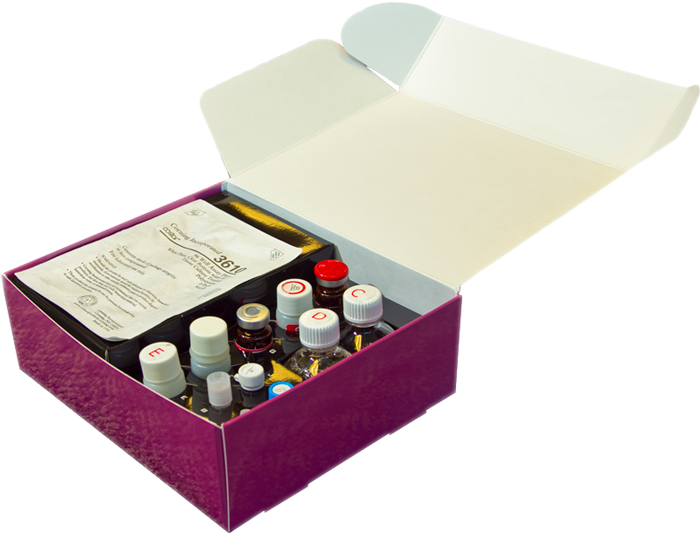 You might be interested in these cell-based kits, which contain everything you’ll need for multiplex-type assays, including division arrested cell lines, Promega’s One-Glo™ for assessing receptor activation (via luciferase), P450-Glo™ substrates for assessing CYP3A or CYP1A mediated metabolism, and CellTiter-Fluor™ for measuring cell viability. All you’ll have to supply are the test compounds! 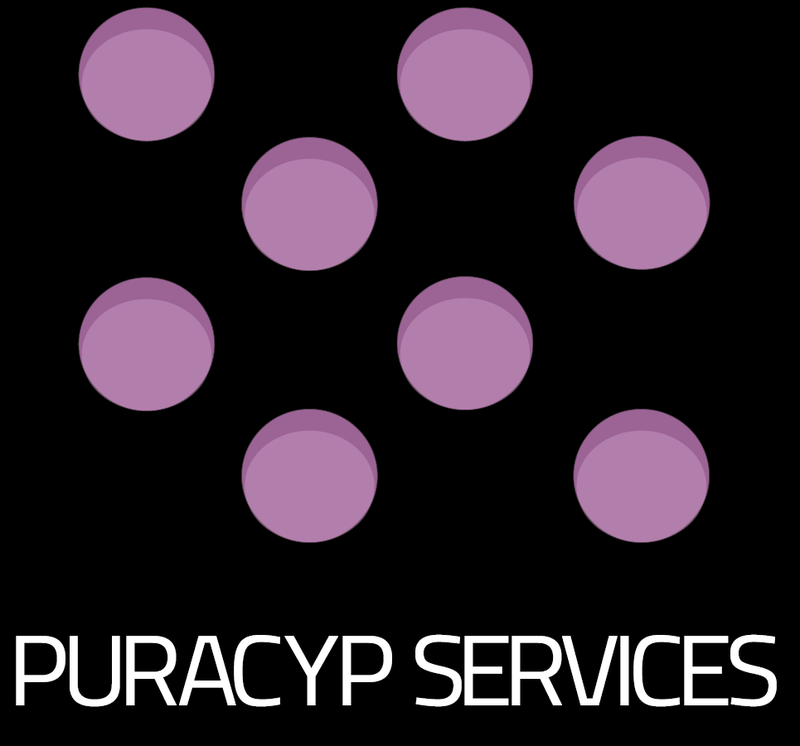 Results obtained with Puracyp’s Receptor Activation Assay kits are highly reproducible and lack the variability inherent to other methodology. Little effort is required to perform the tests and the entire experiment is completed in 2 days with a total of 3-6 hours research time. Several different kit formats and cell lines are available, including human and rodent PXR and AhR (human). Start by taking a look at the assays here! 1) Fahmi, O.A., Raucy, J. L., Ponce, E., Hassanali, S. and Lasker, J. M. Drug Metab. Disp. 40: 2201-­‐2211, 2012. 2) Bjornsson et al., Drug Metab. Dispos. 31:815-­‐832 2003.